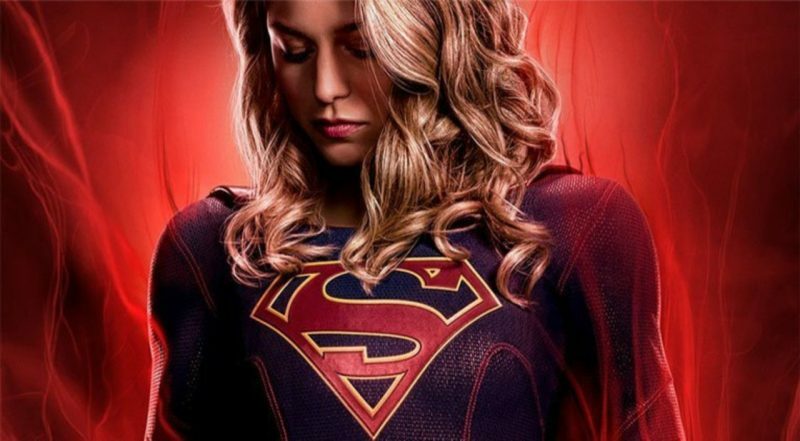 Straight into the action this week with a beautiful slow-motion sequence as Supergirl catches a bullet in another children of liberty hate attack. 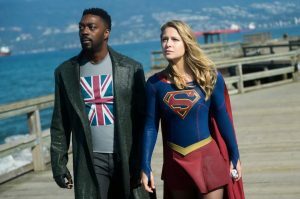 Manchester Black was already on the scene which didn’t surprise Supergirl. The two of them look to team up in catching Agent Liberty. Having been impressed with the on-screen partnership of Manchester and J’onn in previous episodes it’s interesting to see how his forceful persona works alongside the passive nature of Supergirl. Lena is moving along with human trials on her recent invincibility breakthrough. We can really tell from Katie McGraths performance she is struggling with the moral compass surrounding human trials and the risks it involves. 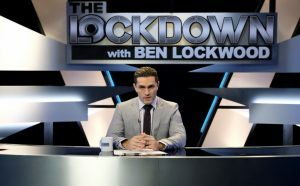 Ben Lockwood’s new TV show is on the air and he is pulling no punches telling the audience that Supergirl could mean the end of humanity. The theme to this episode seems to be pain. Manchester and Supergirl continue to clash due to Manchester’s more violent methods of getting information. It’s thanks to the calming head of J’onn that Kara learns of the pain Manchester is in after losing Fiona. Lena and her test subject start to bond and discuss the pain and loses they have experienced through life. Manchester Black quotes “pain is a great motivator” as he double crosses Supergirl. Delivering her powerless to Agent Liberty. 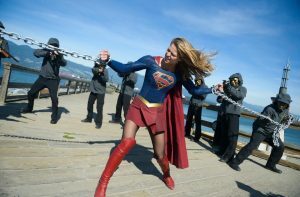 This results in Supergirl being trapped in a building. The same building we believe Agent Liberty has forced Guardian to blow up as a symbol of his commitment to their cause. The climax to the show was a true creative master piece. Credit to the producers and choreographer team behind the scenes. Manchester learns he has been tricked and isn’t meeting the true Agent Liberty he sets of in a devastating assault. Manchester cuts his way through the children of liberty like a knife through butter with a cool but brutal charge across the beach. Simultaneously Guardian begins to discover he too has been fooled. Battling his way free of his captors in typical guardian fashion with his trusted helmet and gauntlet. The fight scenes here are arguably the best the show has ever scene and very much on the level of what we are used to seeing with Steven Amell on Arrow. Both manage to help free Supergirl just in time as she regains her powers disposing of the bomb that was seconds away from killing her. J’onn confronts Manchester who appears to have had enough with the passive approach. Are we seeing a turning point for Manchester Black now? Will he now be fighting against team Supergirl rather than with them? 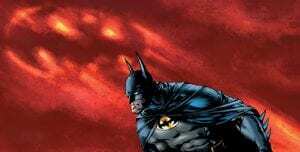 Only time will tell but his transformation into his Anti-Hero persona from the comics seems to be playing out. We are left seeing Manchester outside Lockwood steel.